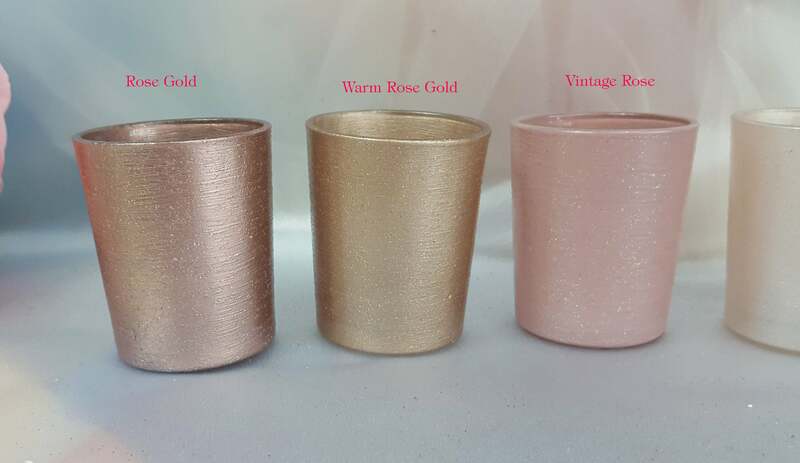 50 Custom painted votive candle holders with a hint of glitter all throughout. Create a Custom order .... you will not be billed until we both confirm the details. Order as many as you wish. You can also mix and match your order at the same time. I need the amount you are interested in and the state where they will be shipped to for a true price. It will really help with your event date and what color you would like. Thank you!